Add this pretty floral and functional wallet as your on-the-go organizer! 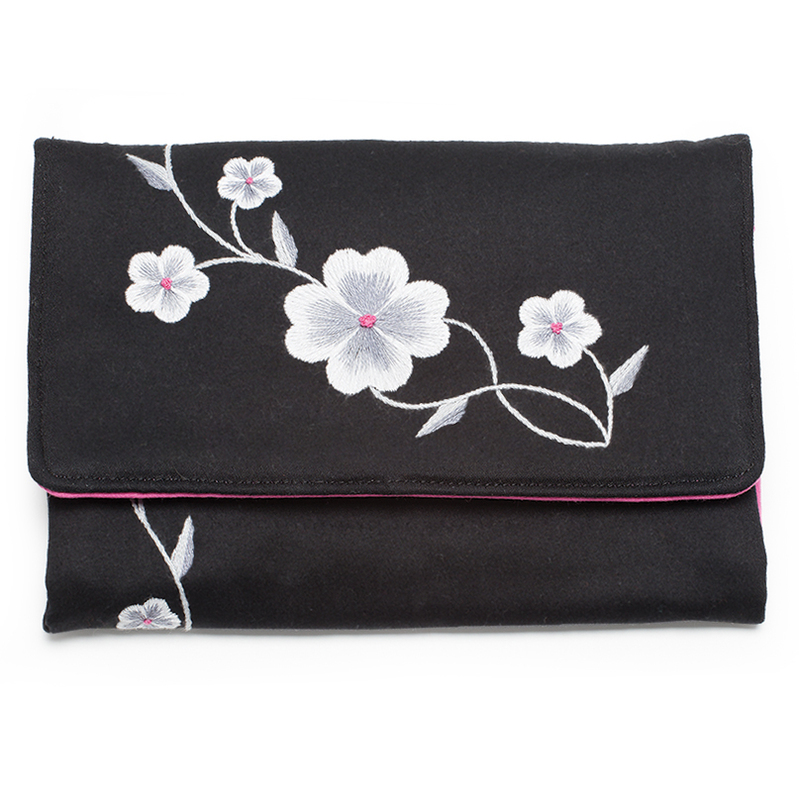 Durable, handmade wallet features hand embroidered, white, gray, and pink flowers. 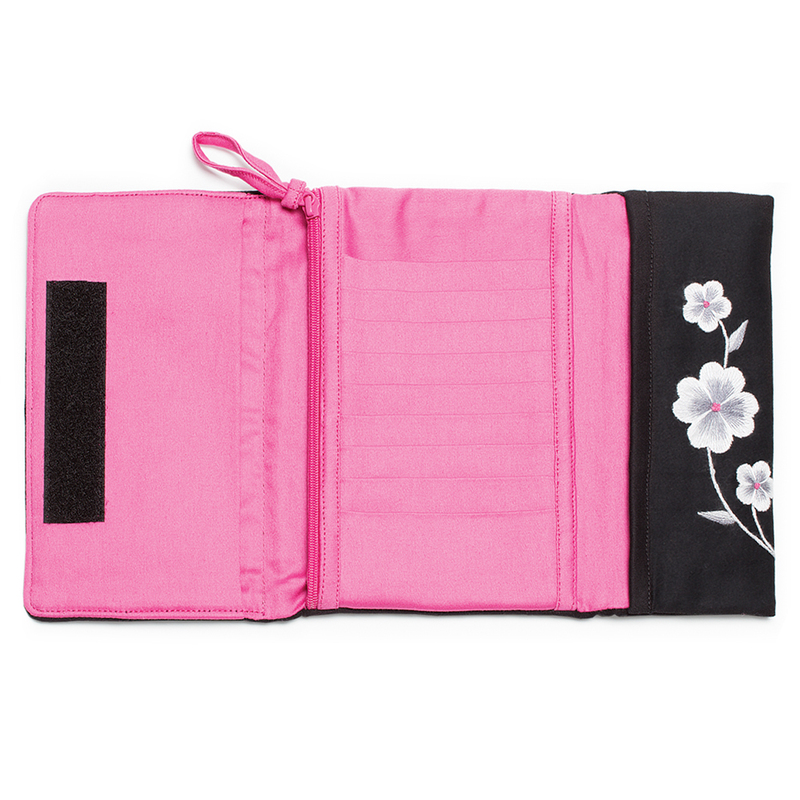 Includes fold-over hook-and-loop fasteners with 3 pink fabric interior pockets, 9 card slots, and 1 zipper pocket. Wallet measures 7-by-5 inches. 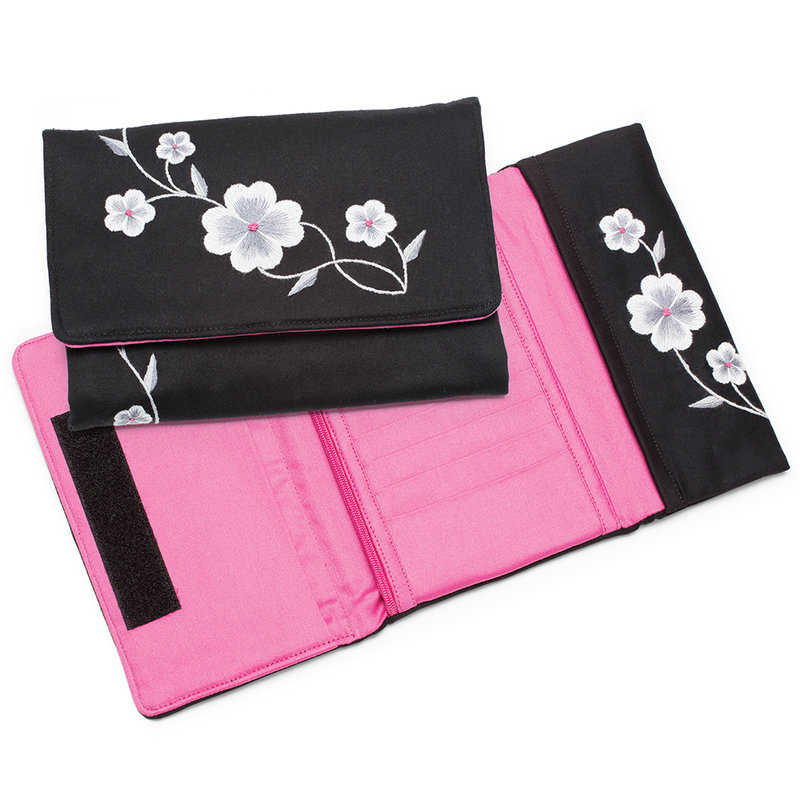 Durable, handmade wallet features hand-embroidered, white, gray, and pink flowers. Each purchase helps women of China Ethnic Crafts break away from the cycle of poverty, domestic abuse, and the lack of education. Includes fold-over hook-and-loop fasteners with 3 pink fabric interior pockets with 9 card slots and 1 zipper pocket. Wallet measures 7-by-5 inches.